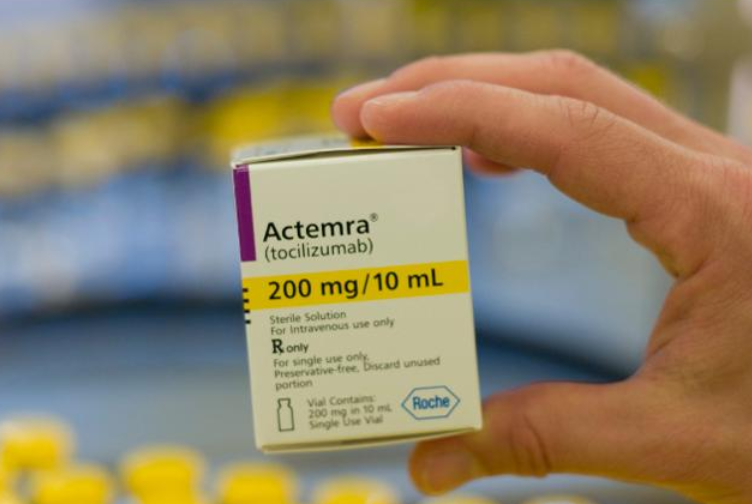 Actemra (tocilizumab) is an interleukin-6 (IL-6) receptor-inhibiting monoclonal antibody approved to treat rheumatoid arthritis (RA) and other conditions related to inflammation. The FDA has received thousands of adverse event reports, including hundreds of deaths, potentially related to Actemra for heart attacks and other complications not listed on the drug’s labeling. The U.S. Food & Drug Administration (FDA) first approved Actemra to treat RA in January 2010. The biologic drug works by blocking the (IL)-6 receptor to stop the production of inflammation in the body. Adults with moderately to severely active RA after at least one other medicine called a Disease Modifying Anti-Rheumatic Drug (DMARD) has failed. Treatment of polyarticular juvenile rheumatoid arthritis(PJIA) in children ages 2 and above. Treatment of an active systemic form of juvenile idiopathic arthritis (SJIA) in children ages 2 and above. Doctors have also been known to prescribe Actemra off-label for dozens of unapproved indications. Actemra has been used by more than 760,000 patients worldwide, generating sales of $1.7 billion in 2016. It was Roche AG’s fifth highest-grossing medication that year. Actemra lowers the ability of the immune system to fight infections. Some people have experienced tuberculosis (TB) and other viral, fungal and bacterial infections while using Actemra. Some of these patients have died. Actemra can cause perforations (tears) in the stomach or intestines. Patients should tell their doctors right away if they develop a fever or stomach pain that does not go away, or a change in bowel habits. Actemra’s effects on the immune system may also increase the risk for certain cancers. Actemra can also increase cholesterol levels, so patients treated with the drug will undergo periodic blood tests to check cholesterol levels. The labels for some competing already carry warnings for heart failure, heart attacks, and stroke. The Actemra prescribing information does not. Experts interviewed by STAT recommended that the Actemra label be updated to include mention of this risks.